Filed to: Ronald acuna jr.Filed to: Ronald acuna jr.
20-year-old Braves slugger Ronald Acuña Jr. is molten hot right now, blasting eight homers in his last eight games and lead-off dongs in each of his last three. If you’re Marlins starter Jose Ureña, facing the Braves tonight, you can either take Acuña’s recent success as an exciting challenge to your own skills, or you could take the scoundrel’s way out and deny him a chance to beat you with the longball. Ureña, disgustingly, chose the latter, depriving us all of another potential Acuña dinger by beaning him on the elbow with the first pitch—measured at 97.5 mph. 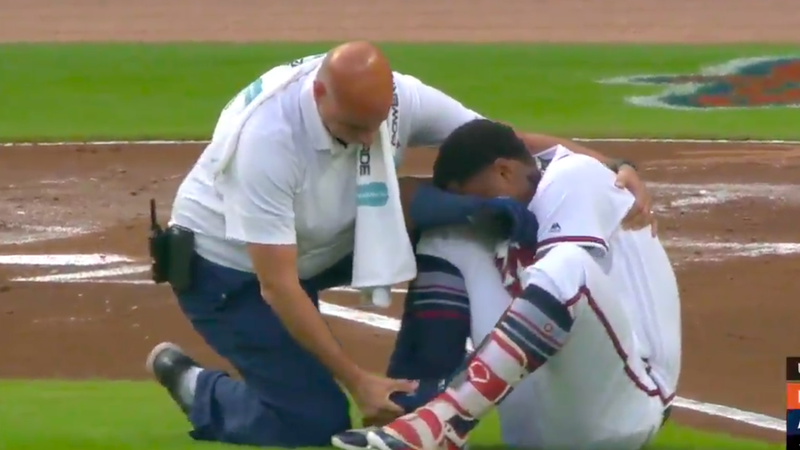 Like a true hero, Acuña is staying in the game. (Update: Now he’s out). Unfortunately, Ureña was ejected, preventing him from facing National League justice in his own first at-bat tonight. What a bum.